The University of Wisconsin/Fusion Technology Institute has taken a leading role in developing IEC fusion. Unlike earlier, unsuccessful attempts to imitate the Standard Model of a star, IEC fusion uses spherical electrostatic containment fields to accelerate deuterium and helium-3 ions toward the center of the sphere, where they collide. Injected electrons create a cloud throughout the inside of the sphere, causing a well of negative electrostatic potential. Deuterons, near the outer grid, will accelerate towards inner grid and pass through the electrostatic center of the system, with momentum moving them to opposite wall area, where they then turn and re-circulate continuously. These ions fall down what is called “potential” hill, gaining speed, colliding, and converging on the center of the sphere, creating a small, spherical core of high density. During these collisions, small scale fusion takes place. For a sufficiently deep “potential” well, steady fusion power can be generated from this core. Early investigations of the IEC concept have concluded it can be a viable fusion reactor, though a number questions remain. Fusion was initiated using two separate experimental procedures. In the first, deuterium atoms were fused together resulting in helium-3 atoms and extra neutrons, or tritium and extra protons. In the second procedure, helium-3 and deuterium were mixed in equal parts with the fusion process producing helium-4 (normal helium). As with the first experiment, deuterium atoms also fused with one another, producing helium-3 and tritium. Inertial Electrostatic Confinement is a branch of fusion research focused on using an electric field to heat plasma up to fusion conditions. This fusion process can be done in a cylinder, or using beam geometry, but the preferred method is with the use of a sphere. An electric field can be generated using a wire grid in the shape of a sphere. In the 1960s, Philo Farnsworth, while working with vacuum tubes, observed an electric charge would build up inside the tube. This came to be called the Multipactor effect. Farnsworth reasoned if the ion count was concentrated enough, the ions could collide and fuse. In 1962, he filed a patent in a design using a positive inner cage. His device came to be called a fusor. In 1980, Robert W. Bussard came up with the idea of merging the fusor and a magnetic mirror, and it became called the polywell. The concept was to confine a non-neutral plasma using magnetic fields, which would also attract ions. In the early 1990s, Nicholas Krall joined Bussard in his research, and they published their work and experimental results. In 1995, Todd Rider, of MIT, read the report and argued the device was fundamentally limited. The same year, William Nevins published a criticism of the polywell, arguing the particles would build up angular momentum and cause the core to disintegrate. Around the same time, the University of Wisconsin- Madison became involved in researching IEC fusion. In spite of a successful device demonstration showing 7200 hours of operation, the FusionStar project, as it had come to be known at the University of Wisconsin, was canceled. Immediately, the company NSD Ltd was founded and took over research on the project. The spherical FusionStar concept was further developed using a linear geometry system and a higher neutron output. NSD ltd then became NSD-Fusion Gmbh. In 2013, NSD was purchased by Gradel, and the company name became NSD-Gradel-Fusion, which began selling IEC fusion units as “neutron generators,” a technology and use developed during their research. The IEC system has undergone steady and continuous refinement, and currently produces over 600,000 neutrons per second. It has been determined, both light neutron and x-ray shielding will be needed in developing the Fusor 5. Inertial Electrostatic Confinement has, at present, evolved into a way of generating neutrons for other experimental purposes. One approach to this new found goal is called the Periodic Alternating Plasma Sphere (POPS) which phase locks ions as they oscillate. The end result is a concentration of heat at the center of the sphere, rather than a more widely spread area of heat. Another approach, having he same effect, is through the use of multi-grid confinement (multiple caged spheres, with each contained sphere getting smaller. In this system, ion focusing is more intense, providing longer confinement times for the ions. This system is described as having the same end result as the POPS system. 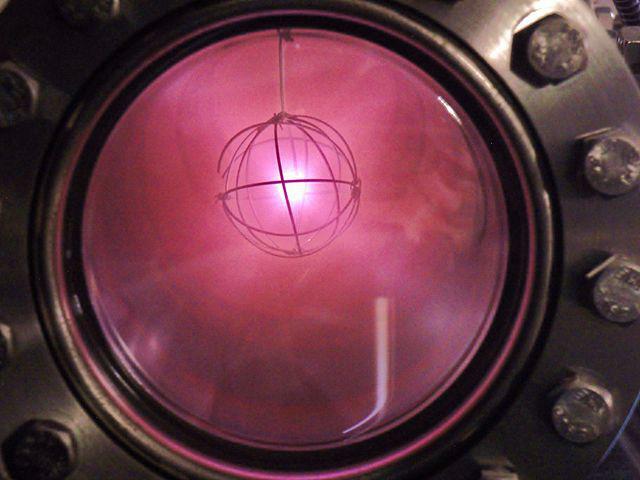 While IEC has evolved into a neutron production device, the heat at the center of an IEC sphere is consistently the primary goal. Though the IEC sphere has lost its way as an alternative energy source, research continues. 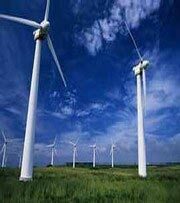 The emphasis on the heat at the center of the sphere may yet turn this technology into an alternative energy source.